4010: 61-2610, crashed coded "4-610" on July 22, 1981 at Bolu. 4011: 61-2611, withdrawn from use, scrapped. 4012: 61-2612, withdrawn from use, scrapped. 4013: 61-2613, withdrawn from use, scrapped. 4014: 61-2614, withdrawn from use, scrapped. 4015: 61-2615, crashed September 8, 1969 near or at Polatli for an unknown reason. 4016: 61-2616, withdrawn from use, scrapped. 4017: 61-2617, withdrawn from use, scrapped. 4018: 61-2618, September 20, 1969, was lost and written off this day. 4019: 61-2619, preserved Istanbul Yesilkoy Aviation Museum (LTBA). 4020: 61-2620, preserved at the military area of Adnan Menderes AP, Izmir, coded "E-620", June 2015 noted. 4021: 61-2621, crashed at Murted AB April 14, 1978. 4022: 61-2622, crashed April 20, 1970 near Polatli. 4023: 61-2623, withdrawn from use, scrapped. 4026: 61-2626, ex RNoAF "626"; withdrawn from use, scrapped. 4029: 61-2629, ex RNoAF "629"; withdrawn from use, scrapped. 4030: 61-2630, ex RNoAF "630"; withdrawn from use, scrapped. 4031: 61-2631, ex RNoAF "631"; withdrawn from use, scrapped. 4033: 61-2633, ex RNoAF "633", preserved outside at the school premises of the Technical School at Gaziemir, no code. 4034: 62-12232, ex RNoAF "232"; withdrawn from use, scrapped. 4035: 62-12233, ex RNoAF "233"; withdrawn from use, scrapped. 4037: 62-12235, crashed at Bandirma AB August 19, 1976 during an emergency landing. 4038: 62-12236, crashed September 28, 1965 at Murted AB. 4041: 62-12239, ex RNoAF "239"; written off June 26, 1986; coded "2239" preserved at Bursa city. 4042: 62-12240, ex RNoAF "240"; withdrawn from use, scrapped. 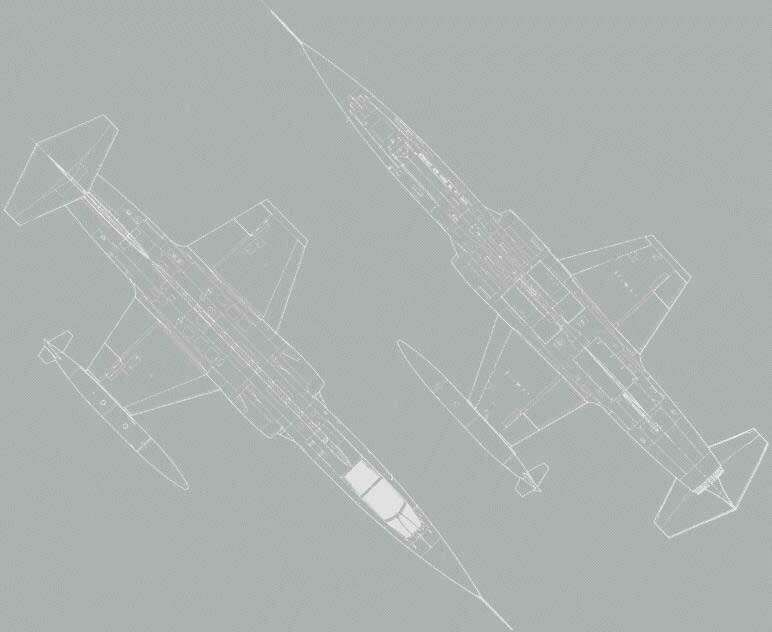 4026: 61-2626; ex "FN-B"; Murted AB July 9th, 1981, no information about this Starfighter since July 1987. 4029: 61-2629; ex "FN-B"; withdrawn from use May 13, 1986 and scrapped. 4030: 61-2630; ex "FN-F"; withdrawn from use July 17, 1987. 4031: 61-2631, ex "FN-H"; withdrawn from use December 30, 1987. 4033: 61-2633, ex "FN-U"; preserved Izmir AB outside at the school premises. 4034: 62-12232, ex "FN-T"; withdrawn from use and scrapped. 4035: 62-12233, ex "FN-P"; withdrawn from use on December 28, 1987 and scrapped. 4041: 62-12239, ex "FN-W"; preserved Bursa, with two F-104, nose to nose, mounted beside the military sports arena. 4042: 62-12240, ex "FN-X"; withdrawn from use and without engine in June 1983; scrapped. 6012: 62-12313; crashed at Murted AB October 2, 1980. 6015: 62-12316; display on pole in Izelman park, near Izmir. 6019: 62-12320; crashed May 2, 1969. 6021: 62-12322; crashed after 1984, no more information. 6022: 62-12323; withdrawn from use, likely scrapped. 6023: 62-12324; instructional (GIA) at Technical School Gaziemir, 2003 ln. 6024: 62-12325; crashed at Balikesir AB October 6, 1972. 6025: 62-12326; crashed at Murted December 7, 1982. 6026: 62-12327; crashed March 31, 1965. 6027: 62-12328; crashed at Balikesir AB on May 15, 1979. 6028: 62-12329; crashed at Balikesir AB November 13, 1977. 6029: 62-12330; withdrawn from use, scrapped. 6031: 62-12332; crashed January 7, 1971 coded FG-332 with 191 Filo near Balikesir, pilot was killed. 6032: 62-12333; crashed November 11, 1976. 6033: 62-12334; crashed January 7, 1971 coded FG-334 with 191 Filo near Balikesir, pilot was killed. 6035: 62-12336; preserved Bandirma, in revetment. 6036: 62-12337; crashed January 7, 1971 coded FG-337 with 191 Filo near Balikesir, pilot was killed. 6038: 62-12339; withdrawn from use, scrapped. 6043: 62-12344; on pole at Istanbul Yesilkoy Havacilik Muzesi. 6068: 63-12716, ex SpAF C.8-2; crashed June 18, 1974. 6070: 63-12718, ex SpAF C.8-4; on pole at Antalya Airport military part. 6083: 63-12731, ex SpAF C.8-8; crashed on June 3, 1977 near Manyas. 6084: 63-12732, ex SpAF C.8-14; crashed February 6, 1984 near Murted AB. 6085: 63-12733, ex SpAF C.8-15; preserved at Istanbul University. 6089: 63-13640, ex SpAF C.8-9; crashed July 14, 1981. 6090: 63-13641, ex SpAF C.8-11; crashed after midair with FG-642 on January 28, 1974. 6091: 63-13642, ex SpAF C.8-10; crashed after midair with FG-641 on January 28, 1974. 6093: 63-13644, ex SpAF C.8-13; crashed Balikesir AB July 17, 1978. 6102: 64-17757, ex RNoAF 757; crashed August 1, 1985 near Balikesir AB. 6103: 64-17758, ex RNoAF 758; instructional at Technical School at Gaziemir, 2007 ln. 6128: 64-17783; crashed July 21, 1974. 6129: 64-17784; crashed on November 3, 1971. 6130: 64-17785, ex RNoAF 785; withdrawn from use. 6134: 64-17789; crashed on November 2, 1970. 6135: 64-17790; crashed July 12, 1966 after midair with FG-791. 6136: 64-17791; crashed July 12, 1966 after midair with FG-790. note: construction numbers with suffix (R) are RF-104G modified later to F-104G version. 5503: 61-3027, crashed September 21, 1971. 5504: 61-3028, withdrawn from use with 191 Filo at Balikesir 1989. 5505: 61-3029, withdrawn from use 1989. 5521: 62-12276, withdrawn from use; no further information. 5522: 62-12277, withdrawn from use; no further information. 5524: 62-12279 (MAP), ex SpAF CE.8-2. 5529: 65-9415 (sold), ex SpAF CE.8-3; preserved as Gate Guard at Corlu AB coded "9-415". 5701: 61-3031; crashed March 21, 1988 as "4-701" at or near Murted Air Base due to an unknown cause, both pilots were ok.
5703: 61-3032; withdrawn from use, preserved at Kayseri, Turkey in the campus of the Erciyes University. 5704: 61-3033; withdrawn from use, scrapped. 5707: 61-3036; withdrawn from use on January 10, 1991 and scrapped in the 90s. 5710: 61-3039; crashed coded "9-710" of 191 Filo of 9.AJU on April 4, 1985 into a crowded street in Balikesir town. 5711: 61-3040; coded as "8-711"; on monument Air Force Academy, Istanbul (F-16 style camouflage scheme) without serial. 5713: 61-3042; withdrawn from use on March 5, 1991 and scrapped in the 90s. 5716: 61-3045; crashed near Manyas-Gol coded "9-716" with 9.AJU on November 26, 1987 due to unknown reason. 5718: 61-3047; crashed April 10, 1987 coded as "4-718" of 141 Filo near or at homebase Murted, pilot was killed. 5720: 61-3049; crashed near Batman July 8, 1993 as "9-720", pilots ejected safely. 5721: 61-3050; preserved as "6-721" Gate Guard at Kutahya AP in July 1998. 5722: 61-3051; preserved in Afyon AB as Gate Guard, July 1, 2005; repainted F-16 style camouflage scheme without a code. 5905: withdrawn from use July 21, 1995; scrapped. 5911: preserved as display on pole at Cigli at 2.AJU Headquarter. 5913: withdrawn from use at 1. Air Supply and Maintenance Center at Eskisehir AB on June 8, 1992; scrapped. 5914: CFE cut at Eskisehir AB in June 1995 and scrapped.